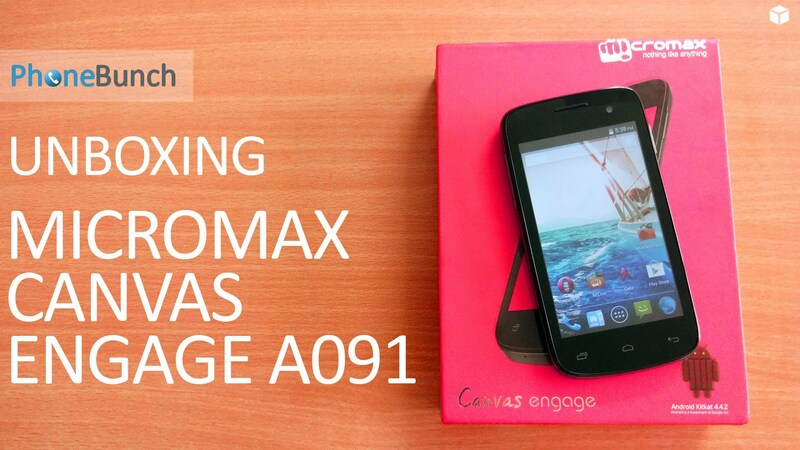 Micromax Canvas Engage is the company’s 2nd phone running Android KitKat after the Unite 2. It features entry-level specs at a budget price. You get a 4-inch WVGA display, 1.2 GHz quad-core processor powering the smartphone with 512 MB RAM and 4 GB of expandable storage. There’s a 5 MP Auto-focus camera at the back with LED flash, VGA front-camera and a 1500 mAh battery. The Canvas Engage A091 is made in India something that is again good to see. Let’s have a look at the phone in our unboxing with first impressions. Quite like XOLO, Micromax has begun packing a Screenguard with their phones, which is an excellent add-on since its quite difficult to get your hands-on screen protectors for a new phone. 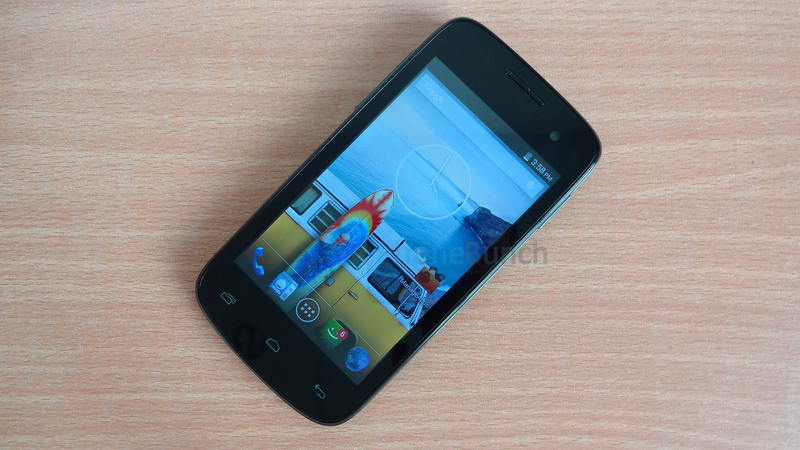 The Canvas Engage comes with a 4-inch display which takes most of the front panel of the phone. I say most, because it is surrounded by huge top and bottom bezels. You do have capacitive buttons just below the display which light up. The sides of the front-panel are raised slightly to protect the display. The front glass is quite reflective and easily attracts fingerprints. You have the VGA camera in the front, proximity and light sensors as well. At the top you have the 3.5 mm audio jack and the micro-USB data-syncing/charging port. On the left you have the volume rocker and the power button is on the right. The microphone can be found at the bottom. The Canvas Engage has a tapered design which is a bit thick at the top and begins to shrink when we reach the bottom. 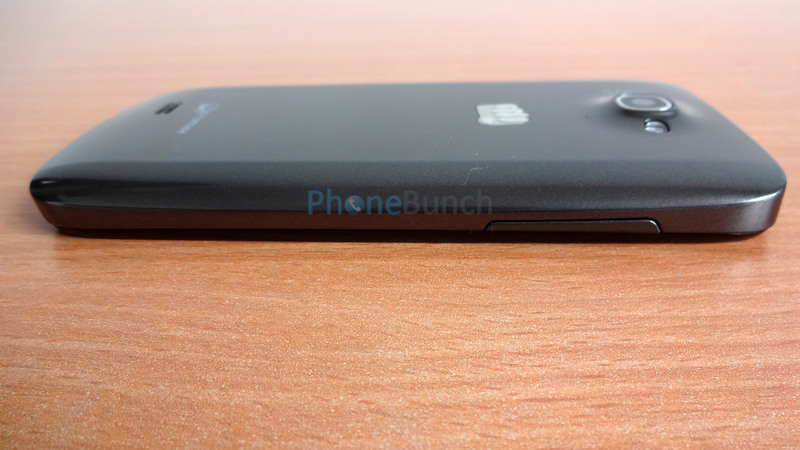 The sides are flat but the back has a slight curve at the edges which makes the phone good to hold. However, the back-cover is really glossy making the phone feel a bit cheap. It has a shiny faux-metallic texture embedded within the glossy plastic but that doesn't help the cheap look. The button on either side are sturdy and offer good feedback. They don’t wobble much either. The back-cover however does creak a little bit even though it is quite sturdy. 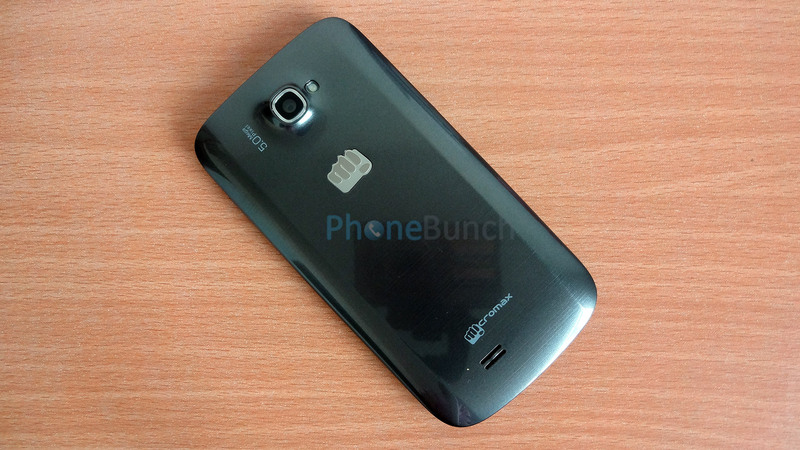 At the back you have the primary 5 MP camera, LED flash, Micromax branding and the speakerphone at the bottom. The speakerphone grill is slightly raised which might help keep sound from getting muffled. On opening the back-cover you will be greeted by two regular SIM Card slots and a microSD Card slot for storage expansion. 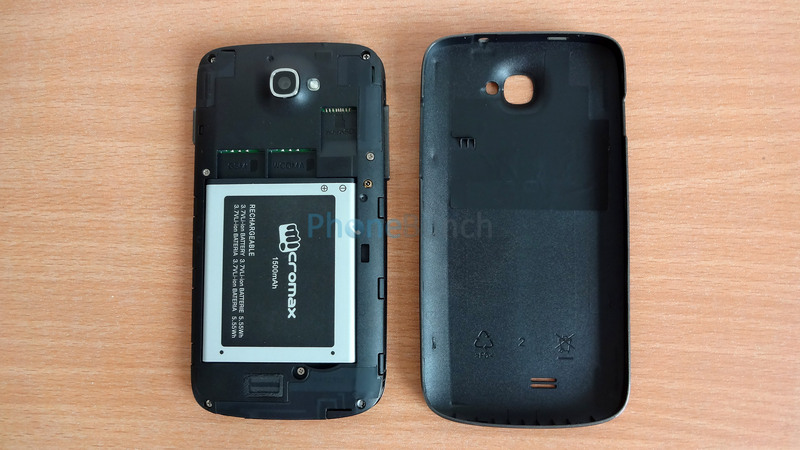 The battery compartment rests just below the SIM card slots. The battery sits in snug and there are no moving or creaking parts. Overall the build is just about all right but the cheap feeling back-cover does somewhat ruin the design of the phone. I am not a fan of glossy back-covers. The Canvas Engage definitely has the chops to be one of the better Android smartphones available in its segment, but a poor display and so-so build quality do leave a little to be desired. But at about Rs. 6000 you can’t get better specs than this, that too with Android KitKat running on the device. We will reserve judgement on the Canvas Engage till our Full Review and will be back soon with its gaming and benchmarks.